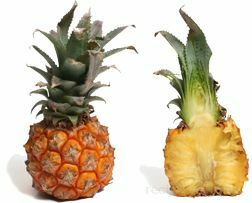 A miniature version of the larger species of Pineapple. 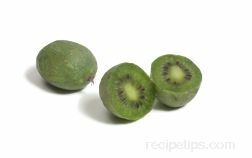 Also referred to as a mini Pineapple or minipineapple, this variety of fruit grows only to a height of 5 to 7 inches with a diameter of approximately 4 inches. 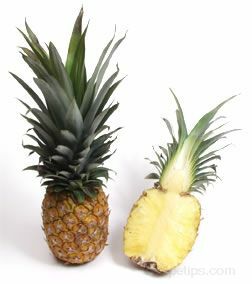 The flavor and appearance of the Baby Pineapple is the same as the larger, more traditional Pineapple. 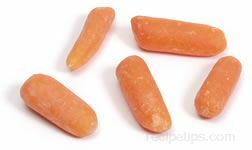 However, the inner core of the Baby Pineapple is tender and sweet flavored instead of tough and fiberous like the larger member of the Pineapple family. 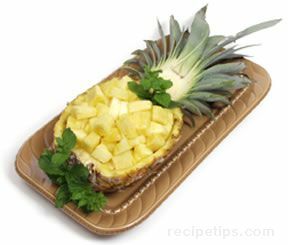 High in vitamin A and C as well as calcium, iron and potassium, the Baby Pineapple provides a smaller amount of fruit that can be nicely used when making fresh fruit salads, beverages, and baked goods.